REGION — A judge in San Diego upheld protections for gray wolves under the California Endangered Species Act on Jan. 28, rejecting a petition from ranching agencies challenging the animals’ designation as wildlife at risk of extinction. The ruling by Superior Court Judge Eddie Sturgeon rejected a motion filed by the Pacific Legal Foundation on behalf of the California Cattlemen’s Association and California Farm Bureau Federation. In 2011, a wolf officially known as “OR-7” entered California from northeastern Oregon, becoming the first confirmed wild member of the species in the state in 87 years. The foundation’s legal action claimed, however, that the animal was from a subspecies that had never previously existed in California. 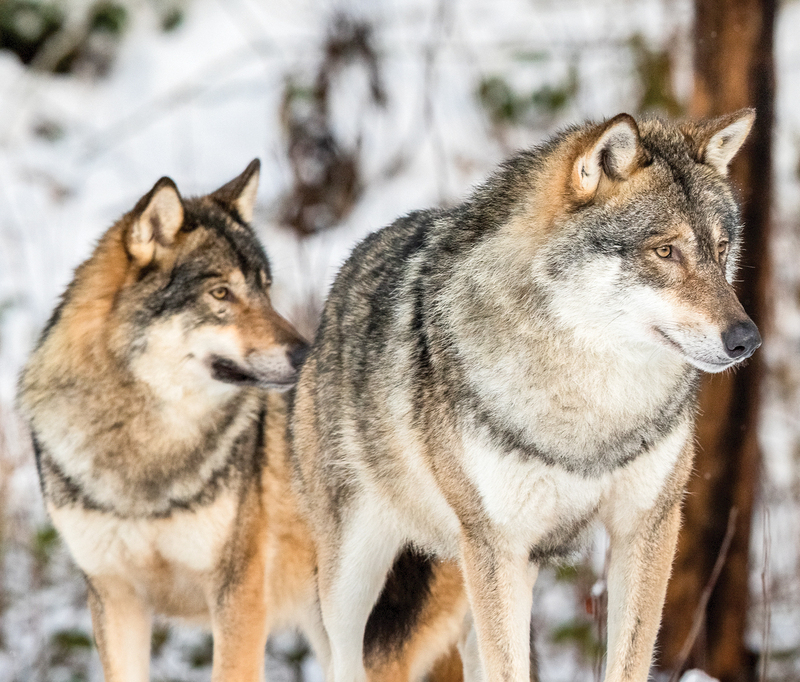 “The listing decision based upon the presence of a (single) wolf (that) later became part of a breeding pair … was not arbitrary or capricious,” the judge wrote. The ranchers groups also contended that gray wolves could not be endangered in the state, since they are plentiful elsewhere in the world. The judge disagreed, finding that California’s endangered-species law need not take into account the global status of animal populations when deciding which ones require protection in the state. The court further found that threats to the wolves necessitate their protection and that the game commission has the discretion to protect native species that have been present historically based on visitation by even one animal, given scientists’ projections that more will likely arrive. “The commission’s determination was based on scientific evidence and is entitled to deference,” Sturgeon asserted. The ruling drew praise from the Center for Biological Diversity, a nonprofit agency that works to protect endangered species through legal action, scientific petitions and other forms of activism.